Full mouth rehabilitation is among the most advanced treatments available in modern dentistry. It is a complex treatment plan designed to completely rehabilitate all areas of a neglected or damaged smile. Due to its complex nature, full mouth rehabilitation requires extensive experience, knowledge, and skill on the dentist’s part. 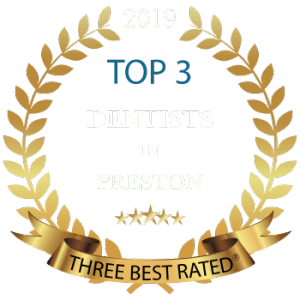 And as a top Preston cosmetic dentist who has helped numerous people regain function and beauty in their smiles, Dr. Kaviani is the ideal choice. Dr. Kaviani has developed a systematic approach to her full mouth rehabilitation treatment. Beginning with a comprehensive consultation, including a thorough dental exam and dental history review, Dr. Kaviani can get to know your current and underlying dental issues. This will help her design a detailed treatment plan aimed to correct the root cause of these issues. The goal is to completely rehabilitate your mouth, so you are comfortable, functional, and smiling the way nature intended for the long-term. The decision on which cosmetic dental procedures are required during each full mouth reconstruction ultimately lies with the dentist and any specialists working with them on the case, although other processes may be available. Among the potential treatments that can be used for full mouth rehabilitation are crown lengthening of the crowns of the teeth to expose a healthy and sound tooth structure, contouring of the gum tissue to bring more balance to a smile and the fitting of invisible braces to ensure the teeth are in the best possible position for restructuring. Tooth condition: Teeth that are loose, missing, badly misshaped, or damaged by decay, fractures, cracks, and other defects may require referrals to various specialists for specific procedures. Gum disease: If gum disease is present, it will need to be treated before rehabilitation treatment. Procedures such as scaling and root planing and laser gum surgery can restore the gums to a healthier condition. Temporomandibular joint (TMJ) health: The condition of your bite, how you chew, your jaw alignment, joint functioning, and how well your teeth line up (occlusion) are important factors in determining various reconstruction treatments. 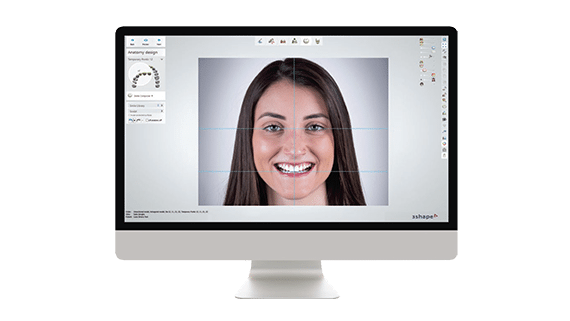 Aesthetic issues: A close evaluation is conducted to determine how your teeth look overall in terms of size, proportion, spaces between teeth, and how they appear in relation to your facial features. While many dentists are good at what they do, not all are competent and capable to perform such a specialized treatment plan. With her extensive background, continuing education, and hands-on experience, Dr. Kaviani is a Preston dentist suited for even the most complex cases. If broken, worn, or decayed teeth are getting in the way of your smile, call our treatment coordinator on 01772 - 726932 to schedule your comprehensive consultation today.